Rework your casual ensemble using this round neck top from Only. Crafted from fine quality polyester, it will make you feel comfy all day long. 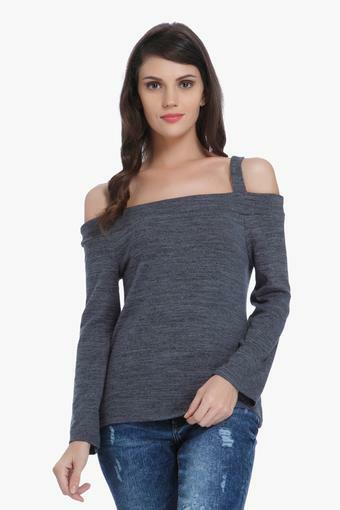 In addition, it features a slub pattern and full sleeves, square shape back that renders it fashionable, while the square neck further accentuates its design. A best pick for you to wear on casual occasions, this top from Only will make you look trendy. You can combine it with a pair of jeans and wedges to make a style statement.